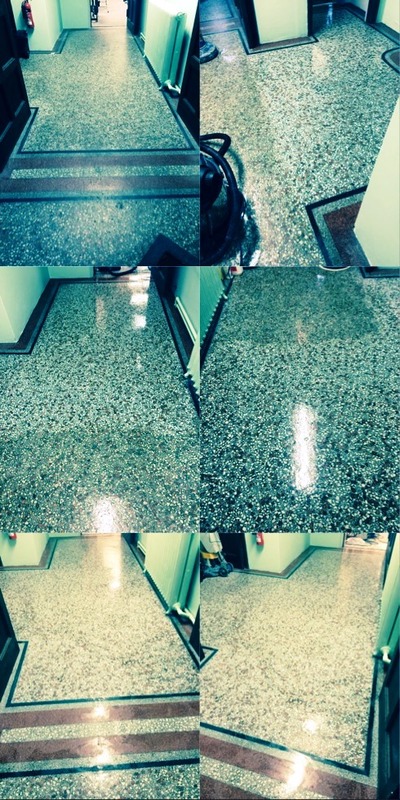 Every so often I will get the chance to undertake tiled flooring restoration work in public buildings, and late last year I was asked to clean and seal a Terrazzo floor at a church in Redhill. 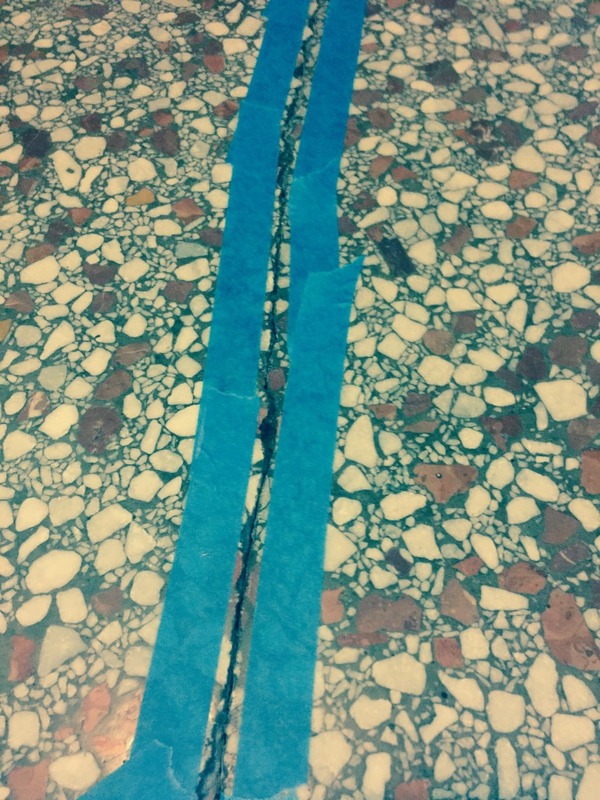 The floor wasn’t in great condition; not only was it suffering from a significant amount of dirt due to a lack of proper maintenance, but it was also marked by several cracks. 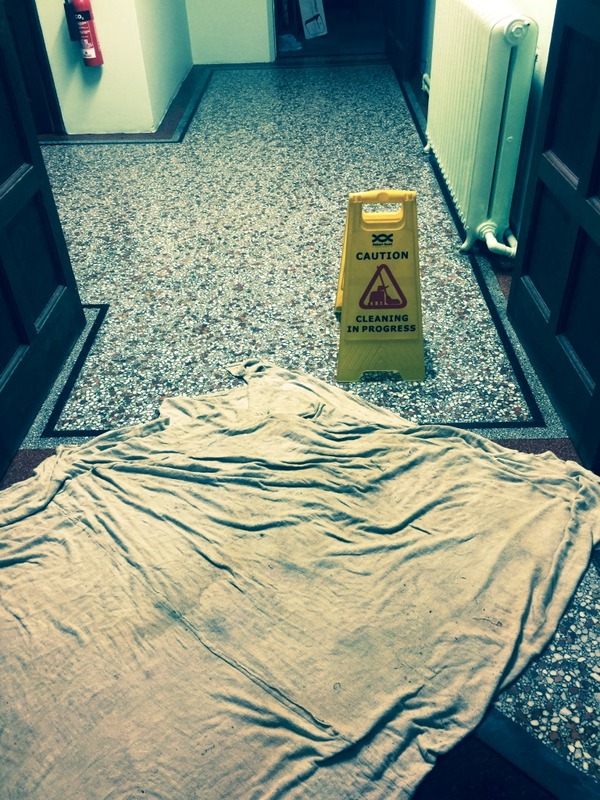 Overall, the appearance of the floor was very displeasing and the church was keen to have me in to complete some repairs, along with a deep clean and seal. 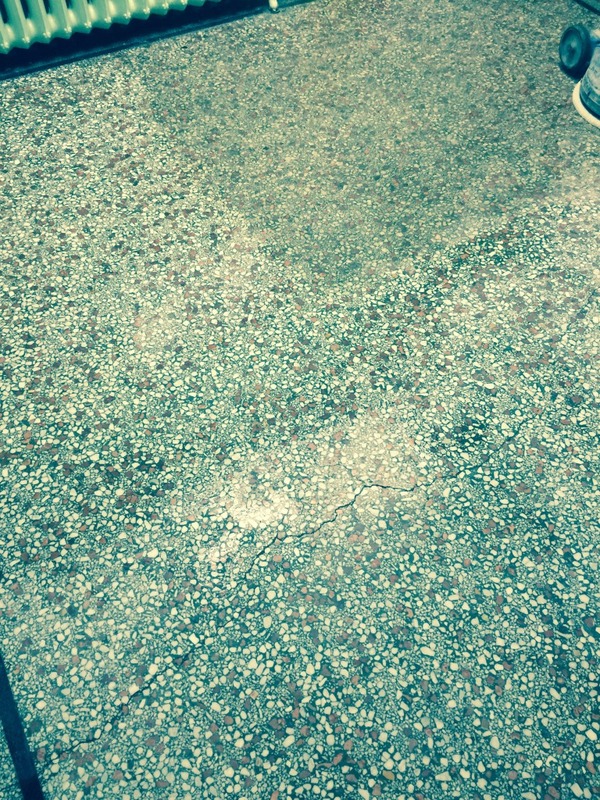 Upon initial inspection of the floor, I was unable to say for certain whether there was any old sealer remaining on the tiles so to ensure it was removed I began the cleaning process by applying a layer of Tile Doctor Remove & Go, which is a powerful cleaner/stripper designed to both break down old layers of sealant and lift out any ingrained dirt. 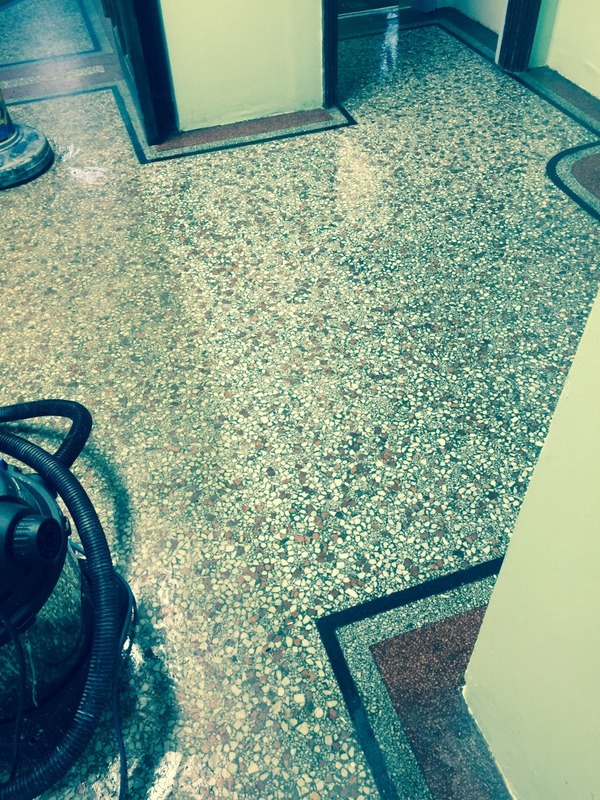 I then gave the floor a rinse with water to remove any excess cleaning product, before moving onto a different cleaning process, known as burnishing. 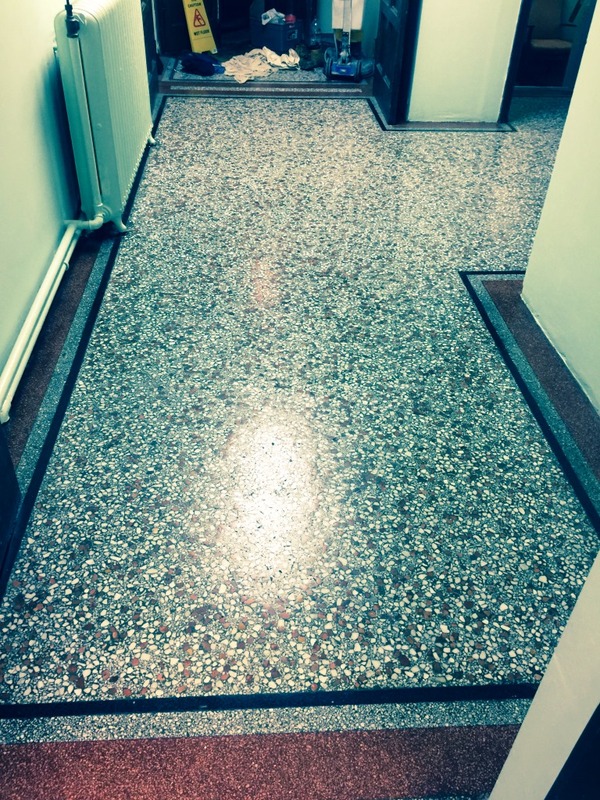 Burnishing involves polishing the surface with to achieve an aesthetically pleasing sheen finish. 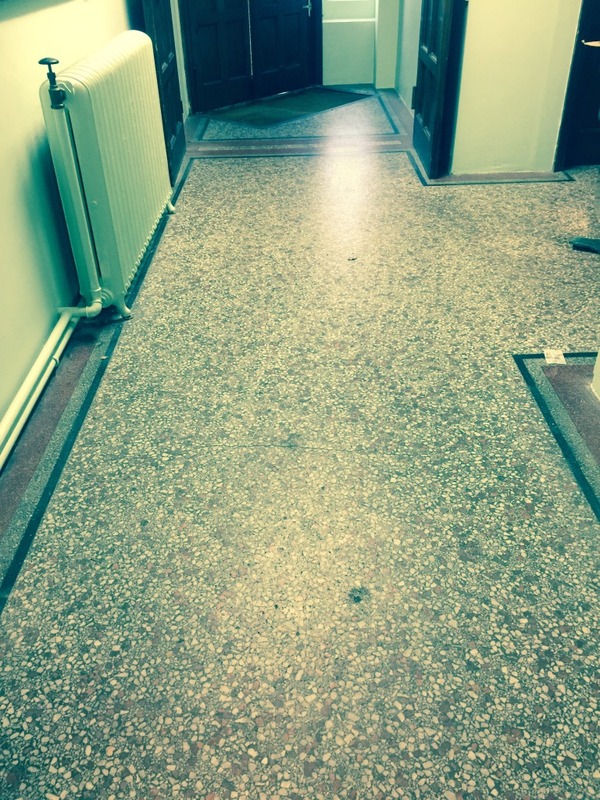 The Tile Doctor burnishing system consists of four diamond encrusted burnishing pads with different levels of grit. 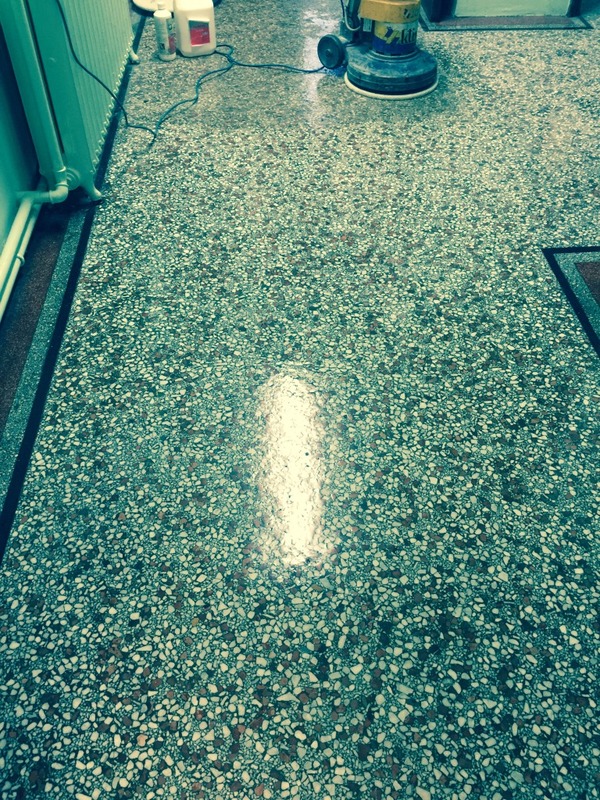 I began by applying a Coarse burnishing pad, before working my way through the system with Medium, Fine and finally Very Fine pads to achieve a very refined, high quality polished finish, you need to use a little water to help lubricate the burnishing and you need to rinse the floor after each pad to remove the slurry. 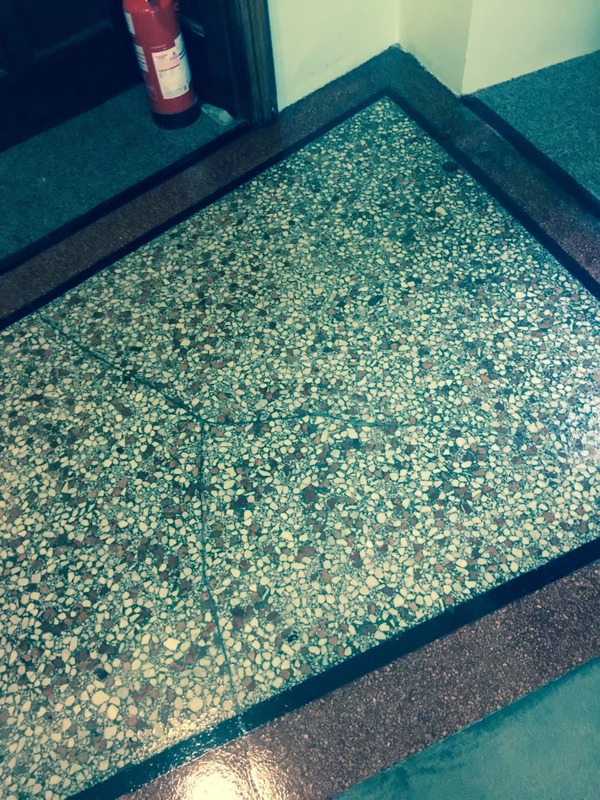 Once the floor had been allowed to dry completely following both cleaning processes, I set about filling the cracks in the tiles with two part resin stone filler. 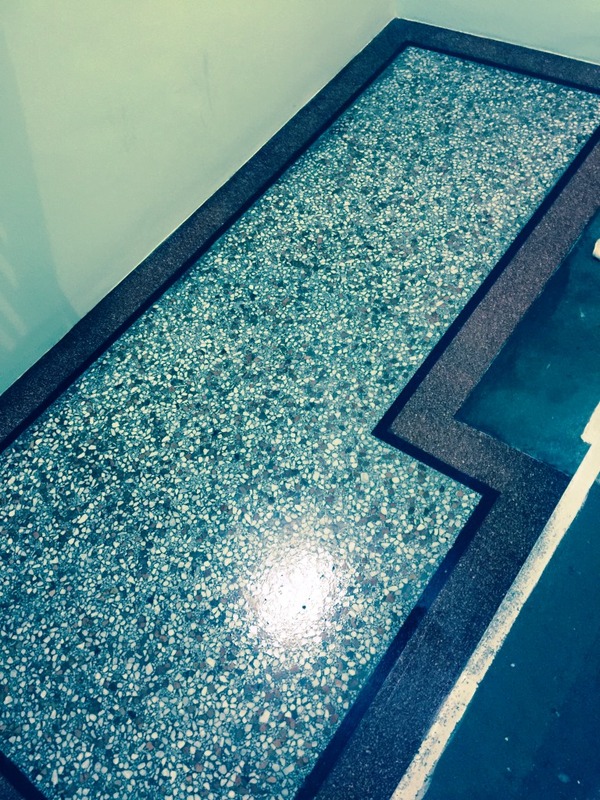 Then, once the filler had dried, I re-polished the floor using only the extra fine burnishing pad, focusing my attention along the crack lines. This really helped to reduce the evidence of cracks and left instead a smoothed surface. 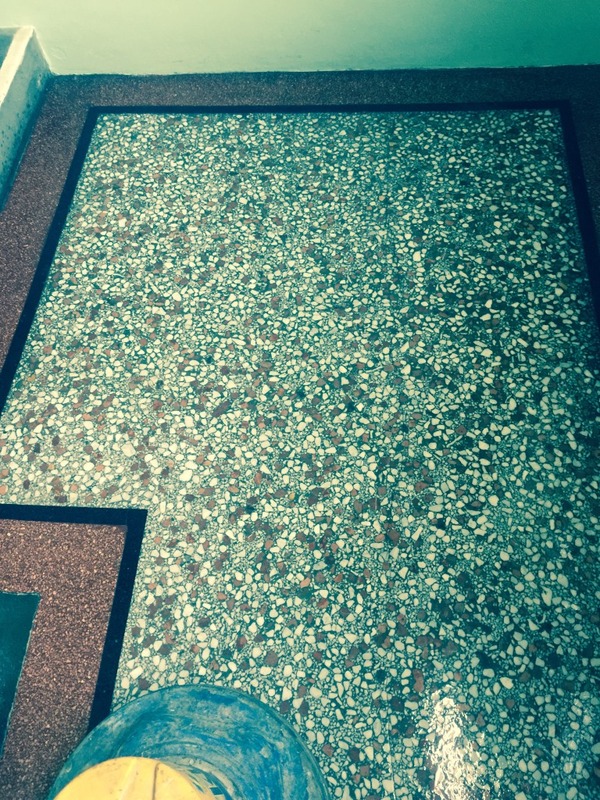 The final stage of the restoration involved sealing the Terrazzo tiles with Colour Grow, which is Tile Doctor’s colour intensifying sealer that impregnates the stone seeping into its pores to provide protecting the floor from within with a robust seal capable of withstanding the high amount of traffic experienced by church floors. The last step was to buff the entire area with a soft white buffing pad.